Ships today if you order in the next 14 hours 43 minutes. 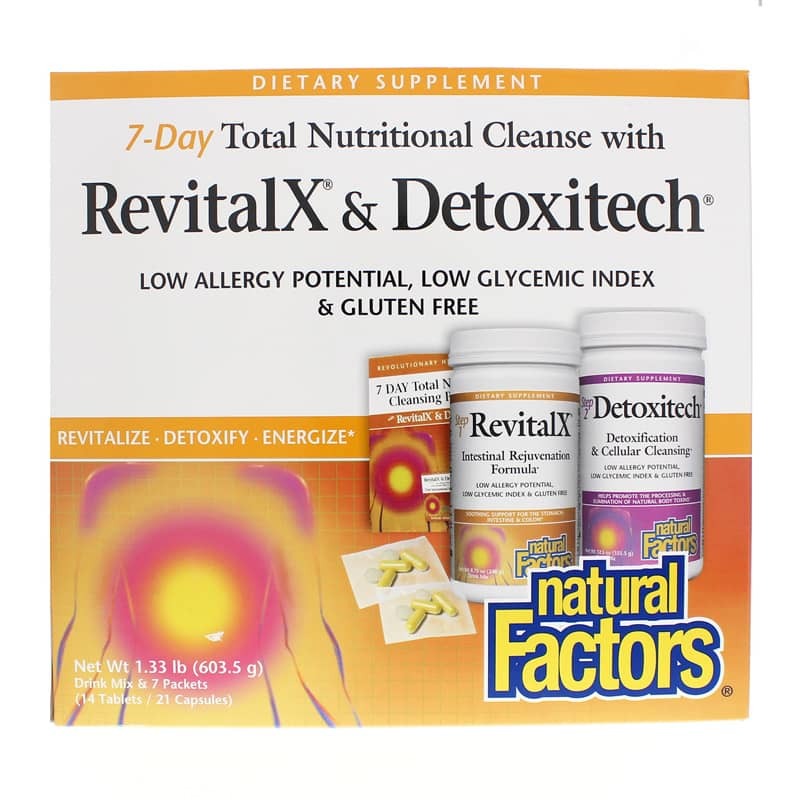 The 7 Day Total Nutritional Cleansing Program from Natural Factors may help promote gastrointestinal health and provide nutritional support for your body throughout the detoxification process. This program is a two-step process that may help prepare your digestive and gastrointestinal systems for detoxification while nourishing the body. After completing the program, you may feel energized, have an increased sense of wellbeing, and helped support your weight management program. 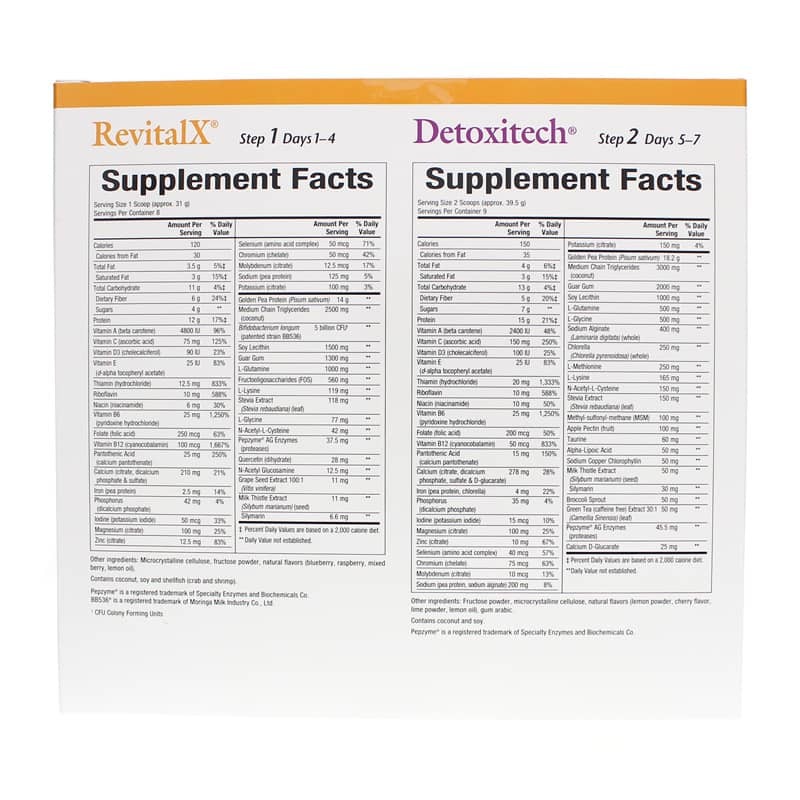 The first step with this program involves taking RevitalX, a nutritional food that may support gastrointestinal tract health and provide a gentle detoxification. 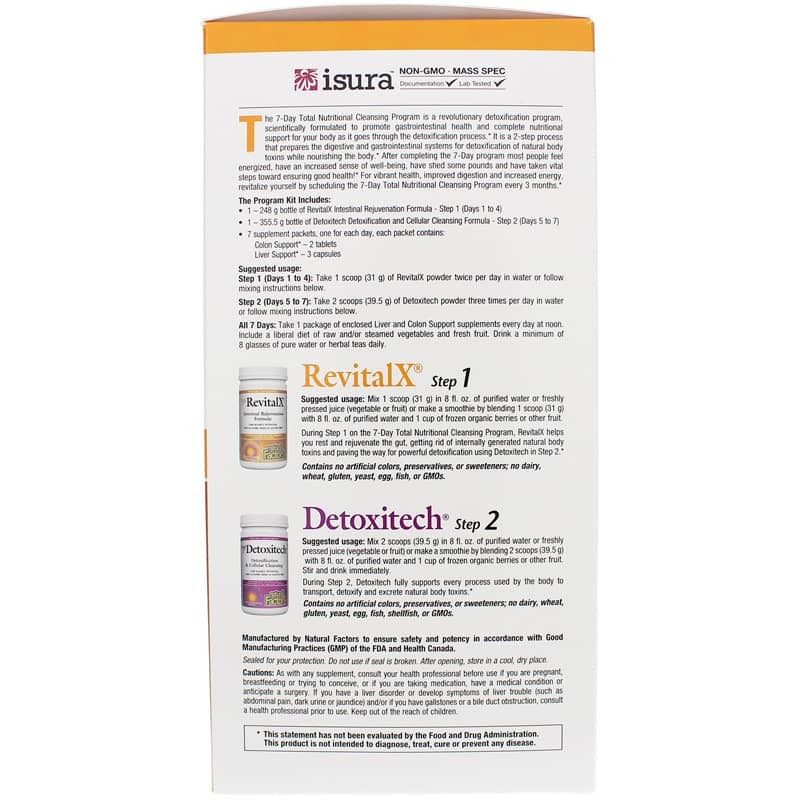 The program's second step uses Detoxitech, which may offer deeper cellular cleansing while possibly supporting the processes your body uses to transport, process, and excrete heavy metals and other toxic substances. Other Ingredients: microcrystalline cellulose, fructose powder, natural flavors (blueberry, raspberry, mixed berry, lemon oil). Contains coconut, soy and shellfish (crab and shrimp). 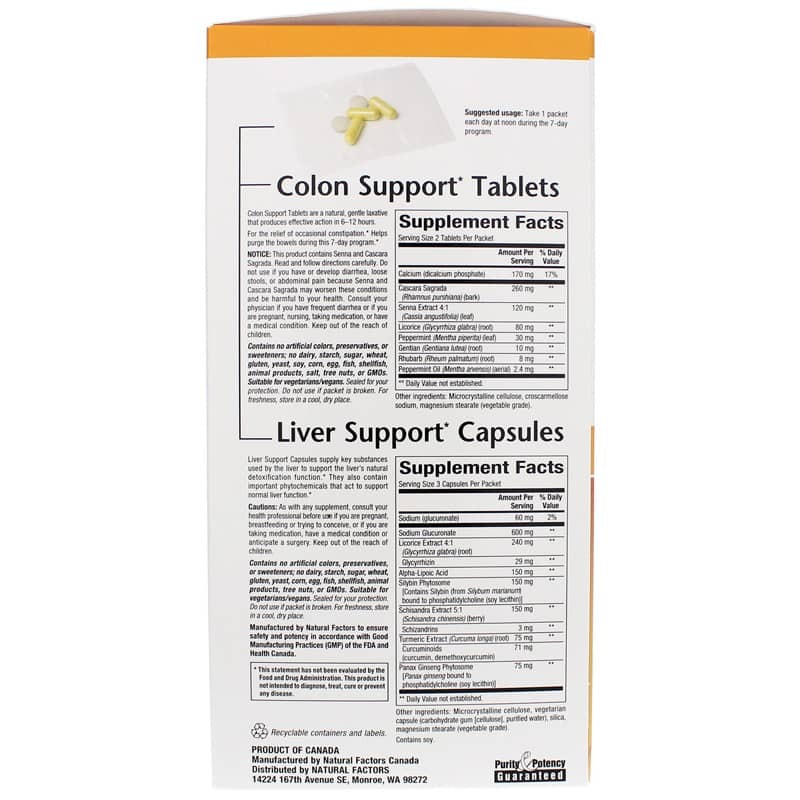 Contains NO: artificial color, sweeteners, gluten or yeast. Other Ingredients: fructose powder, microcrystalline cellulose, natural flavors (lemon powder, cherry flavor, lime powder, lemon oil), gum arabic. If you are pregnant, nursing, trying to conceive, anticipate surgery, taking medications or have a medical condition, please consult your healthcare practitioner before use. Keep out of the reach of children. If you have a liver disorder or develop symptoms of liver trouble (such as abdominal pain, dark urine or jaundice) and/or if you have gallstones or bile duct obstruction, consult a health professional before use. I used the 7 Day Nutritional Cleanse Kit and I was very happy with the results. I had more energy and felt great after the 7 days. it also helped me to continue on my fresh veggie routine. My order for the Natural Factors 7-day cleanse was easy and arrived quickly - I'll order it again because getting to the local health food store takes more time and sometimes it is out of stock!